Linda Liukas co-founded RailsGirls in 2010. 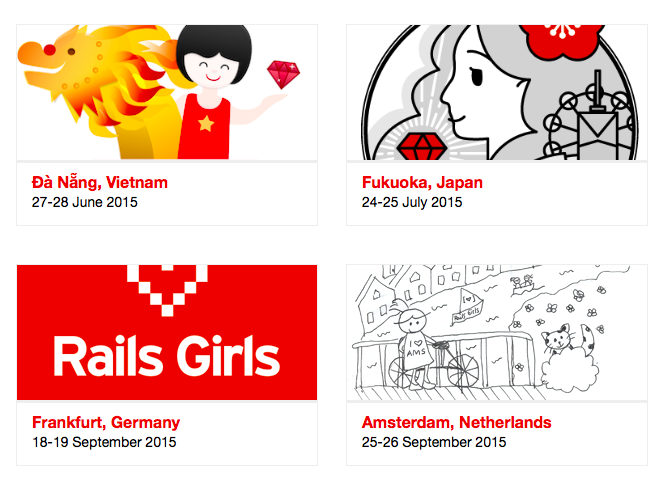 Rails Girls aims to give tools for women to build their ideas. And the idea resonated, nowadays it’s a truly global community opening up new perspectives for girls and women all around the world. Then in january 2014 she ran a kickstarter to raise $ 10K for Now, I want to combine software with storytelling. 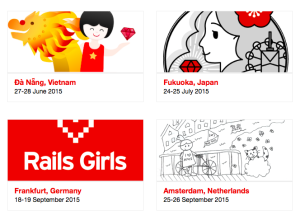 I want to write and illustrate a book for young children about the magical world of technology – Hello Ruby. When the campaign ended there was a staggering $380K to spend and Linda decided to rework the project to yet unknown levels. Her supporters didn’t received the book yet but receive on irregular basis chapters from the Making of-book. Full of struggle, dreams, ideas, … in one word inspiration. Although the book isn’t there, the website has some nice activities to get you started. Apart from her plenary talk Linda Liukas will lead a workshop at Scratch2015AMS.